From classic and sedate to flirtatious and seductive, set the tone of your day with stunning earrings from Elite Fine Jewelry. One of the Bay Area’s premiere jewelers, we provide an eclectic array of designs, including traditional diamond studs, gleaming golden hoops, splendid pearls and elegant drops. Selecting the best earrings to accessorize an outfit can be as important as the clothes themselves. 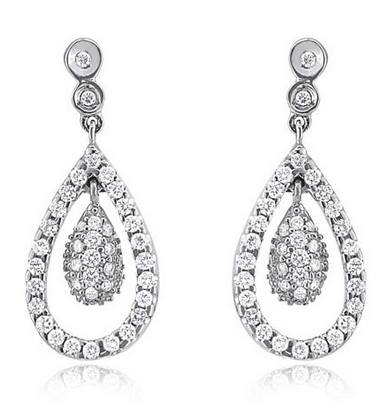 Radiant pear-shaped drop emeralds surrounded by diamonds are great for a formal night on the town. Lustrous pearl studs are perfect for the office, while bold hoops dress up a casual style. We are happy to work with you to create custom pieces to fit your personal style. Our designer draws on 30-plus years of expertise to design, source and craft your gorgeous baubles to your specifications. Our goal at Elite Fine Jewelry is to ensure your satisfaction, regardless of whether you select earrings from our collection or you have them custom made just for you.